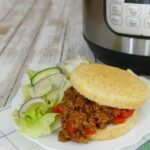 These low carb Sloppy Joes are made in the Instant Pot and they’re great for all the family to enjoy! Keto, gluten free, and sugar free recipe. My family has been enjoying Sloppy Joes for ages – my first recipe for it was actually in one of my books, Low Carb Family Favorites! That version of the recipe is made on the stove, and although it’s super tasty, it does take a while. 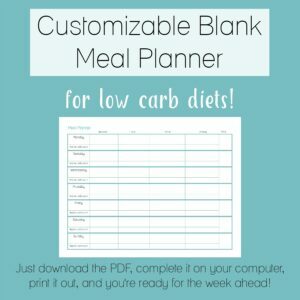 The idea occurred to me one day to try making it then Instant Pot! It’s not *quite* a dump it all in and walk away recipe, because the beef does need to be browned off first. But once you try it, I just know that it’s a recipe you’ll make over and over again! 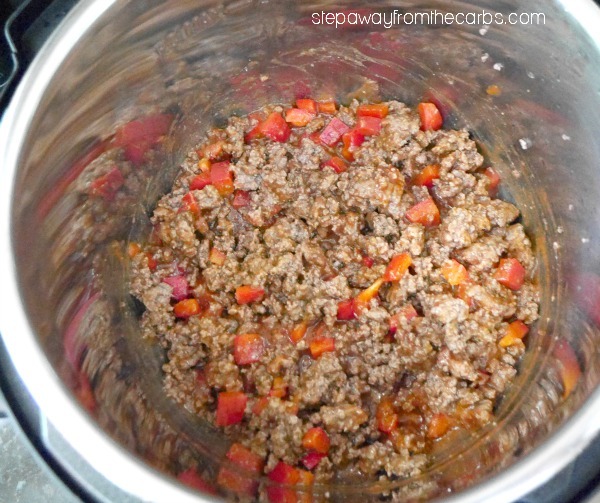 Spray the Instant Pot bowl with non-stick spray and add some ground beef. Turn the Instant Pot to the Sauté function, and cook until the meat is browned all over – stirring regularly. Cancel the cook function and drain the excess grease from the bowl. Add canned tomato sauce, low carb ketchup (see my post on 10 different kinds of low carb ketchup – both store bought and homemade! ), half a diced red bell pepper, Worcestershire sauce, dry mustard powder, onion powder, salt and pepper. Stir well to mix. Seal the lid and switch the Instant Pot to manual, low pressure. Set the time for 5 minutes with the steam release valve closed. 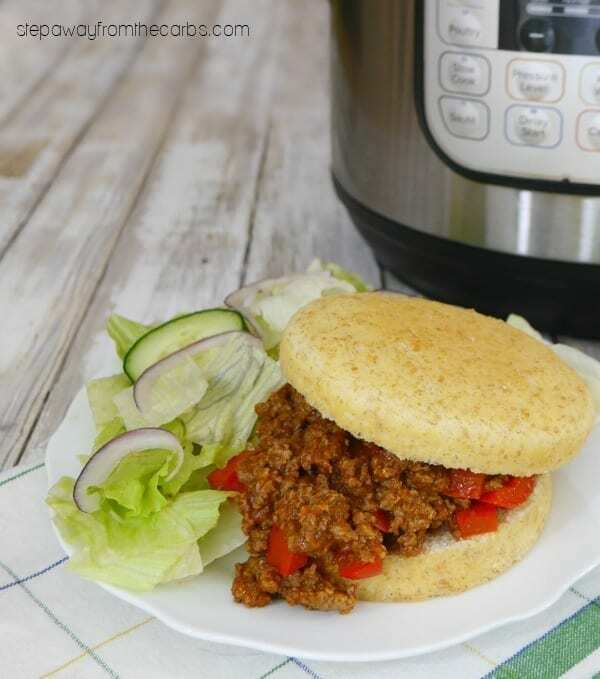 After the cooking time has finished, quick release the steam, and transfer the low carb sloppy joes mix to a bowl. 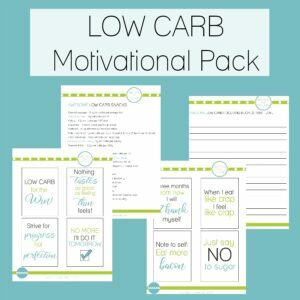 Serve with low carb buns – and I highly recommend SmartBuns, which you can buy from Netrition. They’re ZERO carbs (unless you include sugar alcohols, then they’re still only 4g net carbs per bun). Update – you can now buy these buns from Smart Baking Company direct, and there’s 10% off when you use coupon code “StepAwayFromTheCarbs”. Order some today! 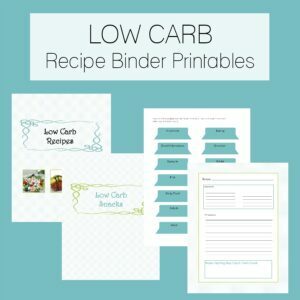 You could also check out my collection of different low carb bun ideas, or use low carb tortillas instead! Spray the Instant Pot bowl with non-stick spray and add the ground beef. Turn the Instant Pot to the Sauté function, and cook until the meat is browned all over - stirring regularly. Cancel the cook function and drain the excess grease from the bowl. Add the tomato sauce, low carb ketchup, red bell pepper, Worcestershire sauce, dry mustard powder, onion powder, salt and pepper. Stir well to mix. 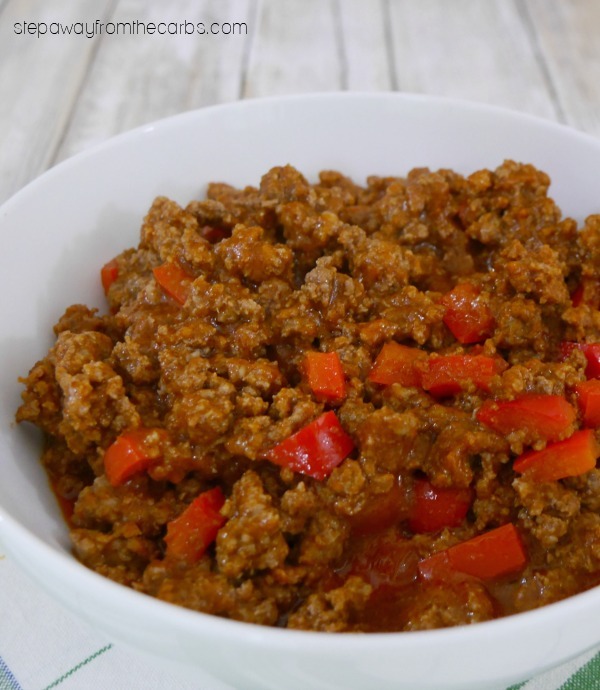 After the cooking time has finished, quick release the steam, and transfer the low carb sloppy joes mix to a bowl. 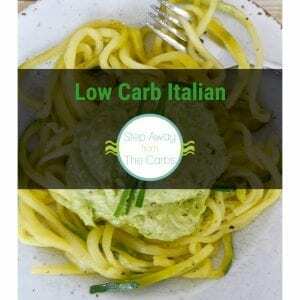 Serve with low carb buns. Does not include carbs from the buns or wraps.